Jeffery C. Metler was born and raised in Utah. He graduated from Brigham Young University in 1999 and later attended both the University of Idaho Law School and J. Reuben Clark Law School at Brigham Young University. 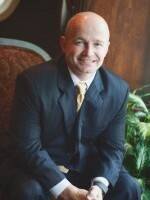 Jeff’s practice is dedicated to handling only personal injury and wrongful death cases. His clients are located throughout many of the Western United States and include multi-million dollar settlements.